Tetyana Tsaryk received her degree at the Fine Arts School in Chernivtsi, Ukraine. After graduation she continued her study at the College of Applied Arts in Kosiv, Ukraine. Then she worked under the leadership of the Ukrainian artist Mykhailo Ozerny, winner of the Taras Shevchencko Prize (the most important award for liberal arts in Ukraine ). In collaboration with her husband Andriy Ozernyy Tetyana worked on the ceramic panneau commissioned by the Ukrainian Theatre in Mykolayiv city, where it is exhibited so far. 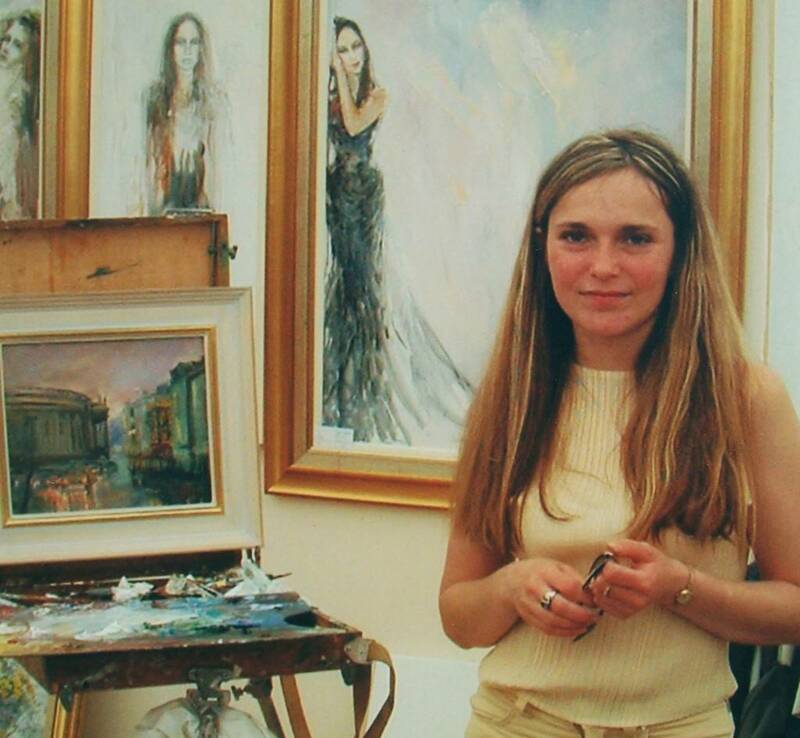 Until 2001 Tetyana had been painting and working as a designer for an advertising company “Univers LTD”, teaching kids at the Chernivtsi Arts School and exhibiting her works all around Ukraine. From 2000 Tetyana is a Member of the National Union of Artists of Ukraine. In 2001 Tetyana moved to Ireland. In Dublin Tetyana’s works have been exhibited in the Oriel Gallery, the View Gallery and the Green Gallery, as well as in James Adam Sale Rooms, the Mullens Laurel Park Irish Art Auctioneers and the Sandford Gallery. Her works were also presented in the Morgan O`Drisoll Fine Art & Antiques exhibition in Cork and in Art Action Festival on the grounds of Townley Hall, Slane, Co.Meath. Tetyana is enjoying working with kids as Art teacher in O`Connell`s Secondary School and in the Centre of Russian Language and Culture Inspiration. On 12th October 2010 the European Commission in cooperation with the Embassy of Ukraine in Ireland hosted the exhibition Ukraine through the eyes of Irish artists, Ireland through the eyes of Ukrainian artists at the European Union House, Dublin. The exhibition featured paintings by Tetyana Tsaryk, Andriy Ozernyy and Irish artist John Murray.